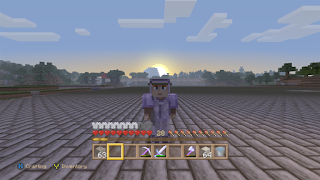 Hello and welcome to Episode 15 of my Let's Play Minecraft on Xbox series. This week I head back to the Egyptian Complex to continue work on the massive "Great" pyramid. If you want to catch up with last week's episode, please click here for Episode 14. As always we'll start with a look at the pyramid itself. 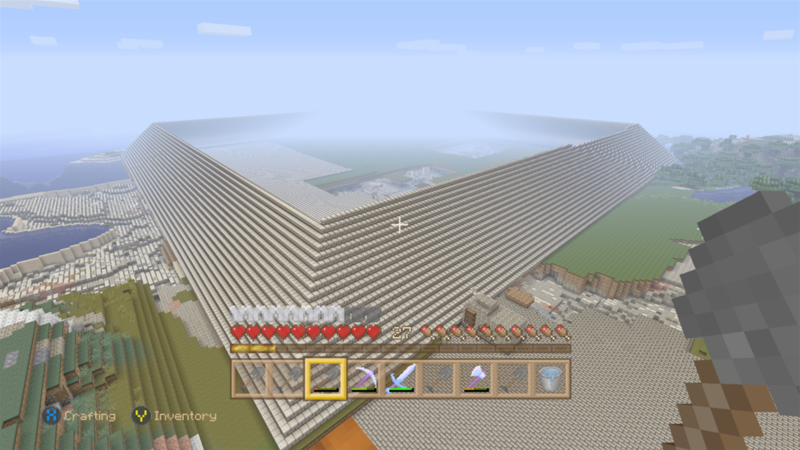 No work on the actual pyramid this week as I still need to finish the base before I can move on to the structure. This is mainly because of light, once the pyramid sides are finished it will be very dark in there. 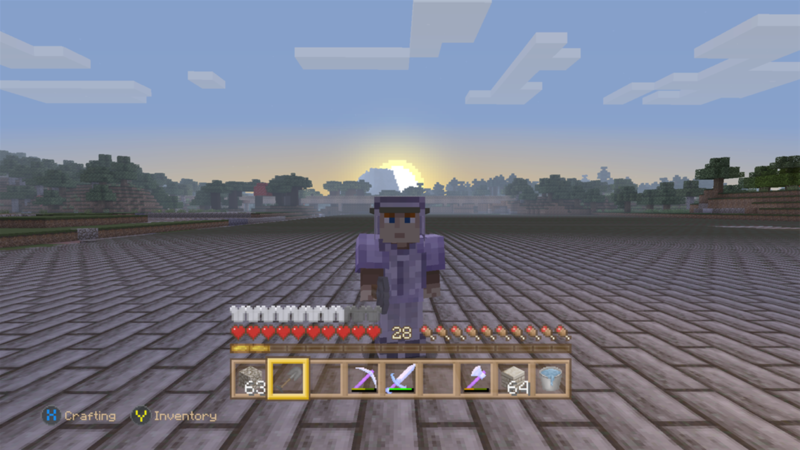 In the beginning, I was building the pyramid and I soon realized that there wasn't enough light to keep mobs away which is why I ran a ring of jack-o-lanterns around the perimeter. 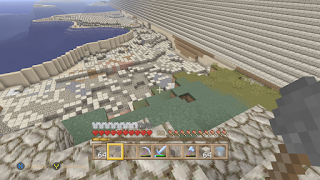 I still have two sections of the base that don't even have the two layers of dirt I put down before I place the sandstone half blocks over them. 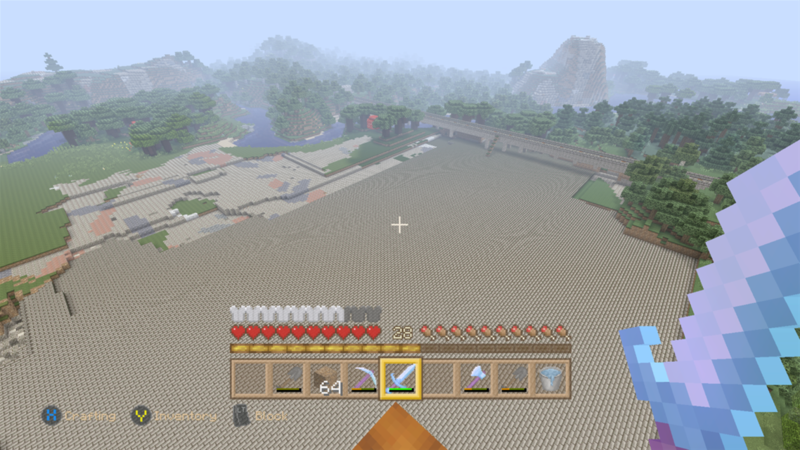 In order to finish the layers of dirt, I would need dirt so I continue excavating in front of the pyramid. This works out because it provides me the dirt I need for the pyramid but also helps me flatten out in front of the pyramid for the additions I'll be adding once the pyramid is finished. 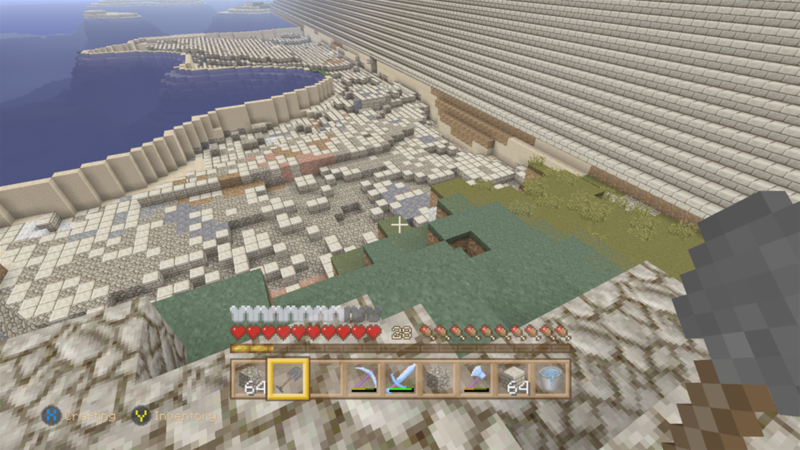 I also have an area that I'm been mining for supplies to the left of the pyramid if you're facing it. 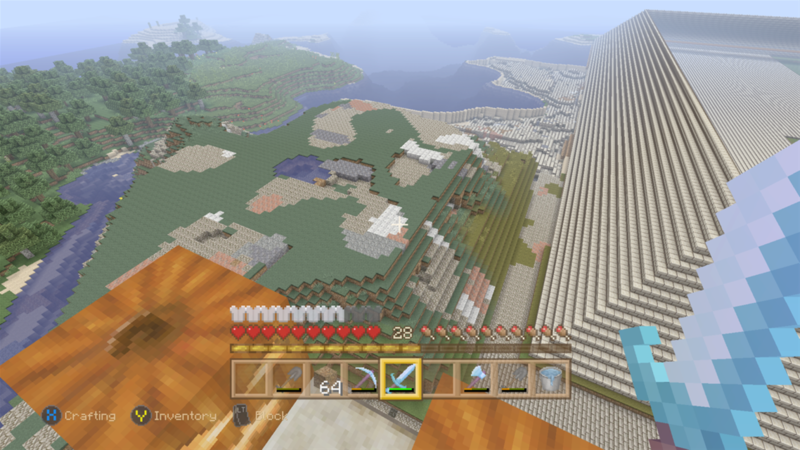 It started out as a good size hill that I've been working away. It started with a lot of dirt and now that I'm closer to the base of the pyramid I'm finding sand and sandstone which is very good because I'll be needing lots of those in the coming weeks. 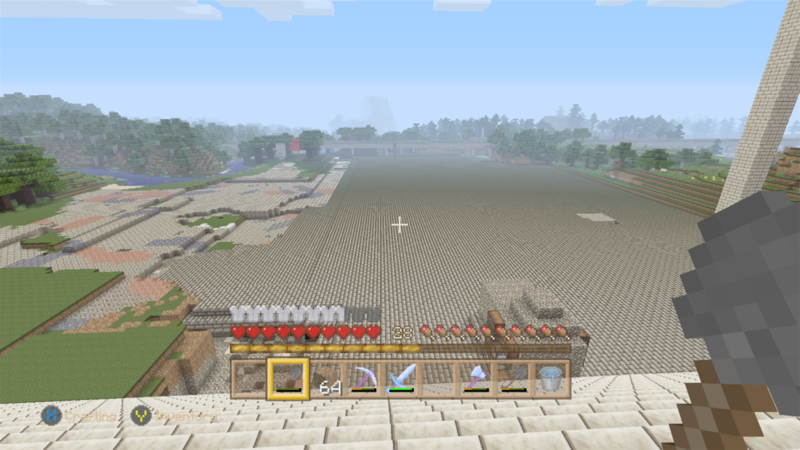 Here is another shot in front of the pyramid where I've been hauling away dirt. My current plan is to level the area between the pyramid and the railway and since what I'm removing I need to continue with the pyramid it's a win for me. Now with the pyramid, I have two large holes that I need to fill to continue on and I'm happy to say that with the help of the dirt in front of the pyramid I have the farther away hole, the one on the right, is completely filled. After finishing up that one I started on the last one which is going to need a considerable amount of dirt to finish. I also put down a lot of new sandstone half slabs so there is some actual work on the pyramid this week. 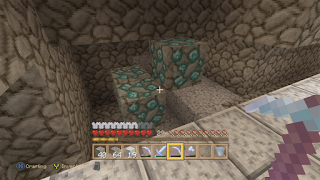 Lastly, before I go I wanted to say that right before I came back to the pyramids I did find some diamonds that I really needed! With my fortune three pickaxe, I was able to get nine diamonds out of three diamond blocks. Thanks for stopping by and I hope to see you next week! Click this link to read Episode 16.